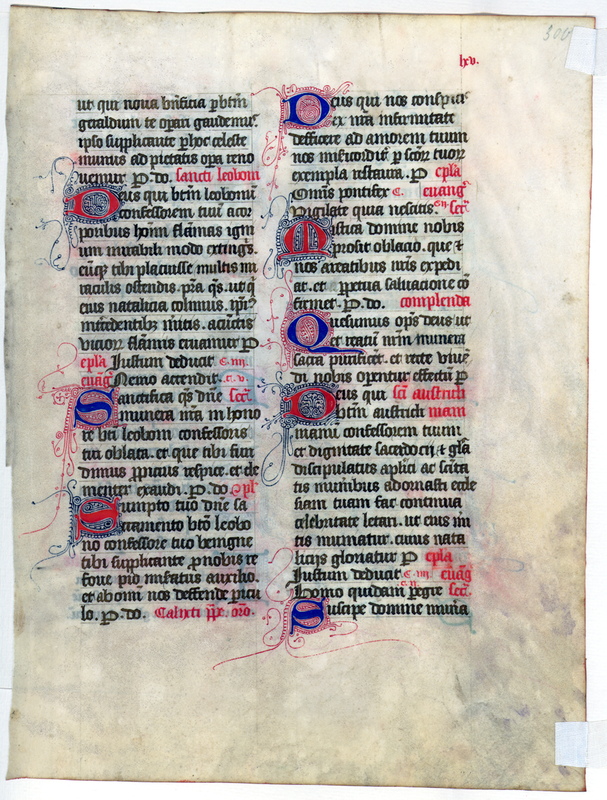 Missal (Missale Lemovicense Castrense). France (Limoges); Middle 15th Century. Latin Text; Angular Gothic Script. Observations: The main text ink is a dark grey. Some leaves have extensive passages underscored in red. 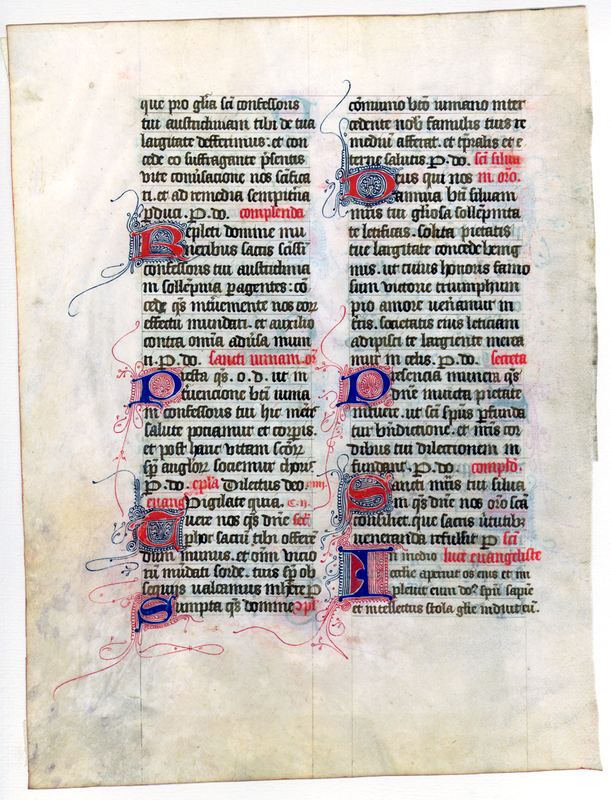 There are alternating blue and red Lombardic initials, and pencil or ink Arabic foliation in the upper right corner.